Two incidents of attempted burglaries have been reported since Sunday evening, the UC San Diego Police Department announced in a campuswide email. In both cases, an unknown individual allegedly tried to break into the victims’ apartments by removing the window screen in the living room but was interrupted by the residents and subsequently left the scene, according to the statement. The first incident occurred at 5:00 p.m. on May 13 at the Mesa Nueva graduate apartments, although it was not reported to campus police until May 14 at 11:57 a.m. According to the reporting party, the suspect is a male approximately 5’9” to 5’10” in height and was dressed in light gray sweatpants and a dark gray sweatshirt. The race and hair color are unknown. Occurring at the Sixth College apartments, the second alleged attempted burglary took place at 5:10 a.m. on May 14, but the residents of the apartment were not able to see the suspect clearly enough to note any identifying features. 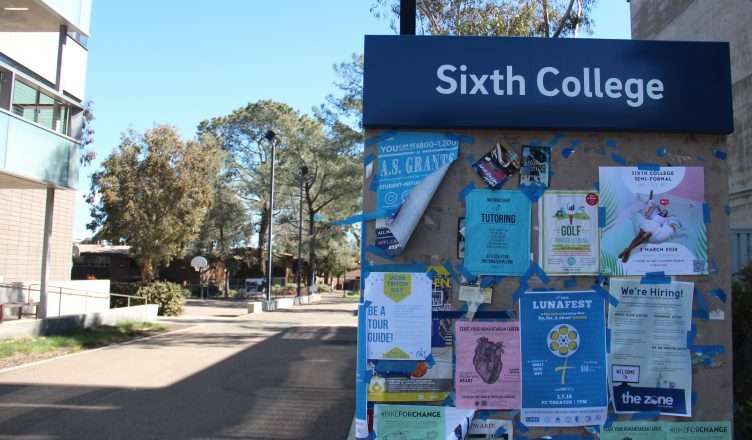 Although the nature of the alleged crime was similar in both cases, campus police is not yet certain that the two attempted burglaries were committed by the same suspect. At this time, an arrest has not been made and the investigation is still in progress. Those with any information are encouraged to contact campus police at (858) 534-5457.